Are you a loyal Gashead who would like to be on www.twobluequarters.co.uk? Well now could be your chance. Simply fill in our ‘Fan of the Week’ questionnaire and submit a photo and you could be on your way to making a guest appearance on ‘Two Blue Quarters’. 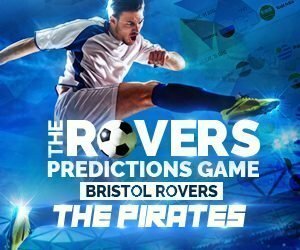 We want to know about your experiences following the Gas, your favourite players, your highlights from past campaigns and you can also pick your favourite team from past or present Rovers stars. There are 18 questions in total and the best submitted questionnaires will be published online at www.twobluequarters.co.uk throughout the season.